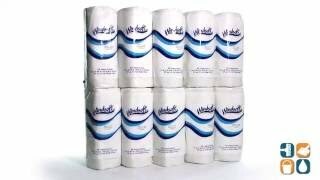 These paper towels manufactured by Windsoft are a great economical alternative to the more expensive brand name paper towels. The perforated, two-ply towels offer enhanced absorbency and dependable durability. 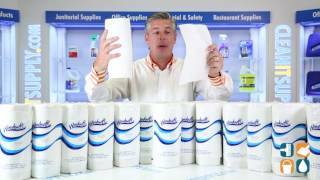 Keep these paper towels on hand to use for all purpose cleaning in the home, office, shop or garage. The sheet size of Windsoft paper towels is 11" x 8.8", a generous size for all of your cleaning needs. These towels meet EPA standards for post-consumer material paper content, so when you purchase Windsoft 2-ply paper towels, you are saving money as well as helping the environment. Stock up on Windsoft today! I think the products are good quality, and particularly for people who run rental accommodations. Ordered for stocking up, haven't use it yet, but I have confidence in their products. Paper towels are just that, so I'm sure they will serve the purpose. If they are anything like the toilet paper that I ordered I'm sure I will be pleased! We use the paper towels daily in our kitchenette. I would definitely recommend this to any office.